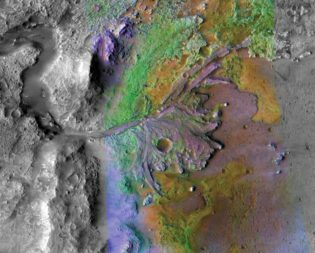 WASHINGTON — NASA has chosen a Martian crater that once hosted a lake and river delta as the landing site for a mission that will collect samples for eventual return to Earth. 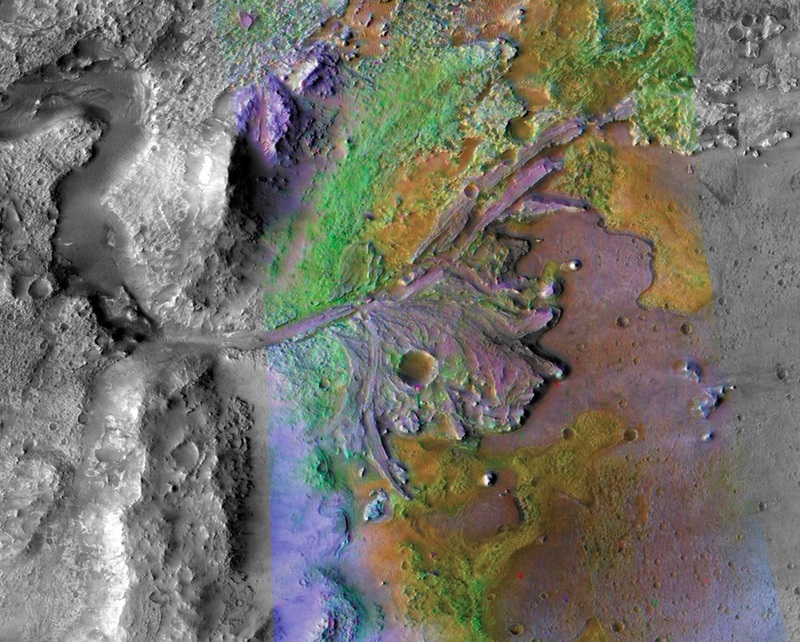 The agency announced Nov. 19 that it selected Jezero Crater as the landing site for the Mars 2020 rover mission. That spacecraft, scheduled for launch in July 2020 on an Atlas 5, will land in the 45-kilometer-wide crater in February 2021. The selection of Jezero was the culmination of a review process that lasted more than four years, as scientists evaluated the benefits of prospective sites and engineers studied the ability to safely land in those regions. More than 60 sites were considered at the first in a series of landing site workshops in 2014, said Michael Meyer, lead scientist for NASA’s Mars Exploration Program, during a call with reporters about the site selection. By the time of the final site selection workshop, held in October, scientists had whittled down that list to four. In addition to Jezero was a nearby region, called Northeast Syrtis, which had ancient rocks of interest to scientists. A third site, called Midway, was so named because it was located between the two; it had rocks similar to those at Syrtis and was in driving range of Jezero. A fourth site, Columbia Hills, was first visited by the Spirit rover in 2003, but fell out of contention at the final workshop. Jezero won out because of the prospects of finding biosignatures of past life there. The crater was home to a lake about 3.5 to 3.9 billion years ago that was as deep as 250 meters, said Ken Farley, Mars 2020 project scientist. Images of the crater show the remnants of a delta from a river that flowed into the lake. “This is a major attraction from our point of view,” he said. “The delta is a good place for evidence of life to be deposited and preserved for the billions of years that have elapsed since this lake was present.” That life, he said, could have lived in or around the lake, or existed further upstream and was washed down into the delta. The region, he said, is also rich in carbonate rocks that can be another habitable environment, as well as preserving the conditions of that early Martian environment when they formed. While Mars 2020 is based on the Curiosity rover, including using the same “skycrane” landing system, Mars 2020 will make use of a new technology called terrain relative navigation. That system, where the spacecraft takes images as it descends and compares them to a map to enable a more precise landing, allowed NASA to consider sites with more hazards. Those hazards include, in the case of Jezero, fields of boulders, sand traps that would be difficult for the rover to drive out of, and the edges of the delta itself. “Scientists always want to see outcrops, which are boulders and cliffs, and the people who are responsible for landing the rover safely are trying very hard to avoid those things,” Farley said. Another pending decision is whether the rover will undertake an extended mission to leave Jezero Crater and travel to Midway, something many scientists advocated for at the final landing workshop. The focus of the mission is, for now, on just the prime mission at Jezero. “We want the team to focus on the prime mission,” Zurbuchen said. 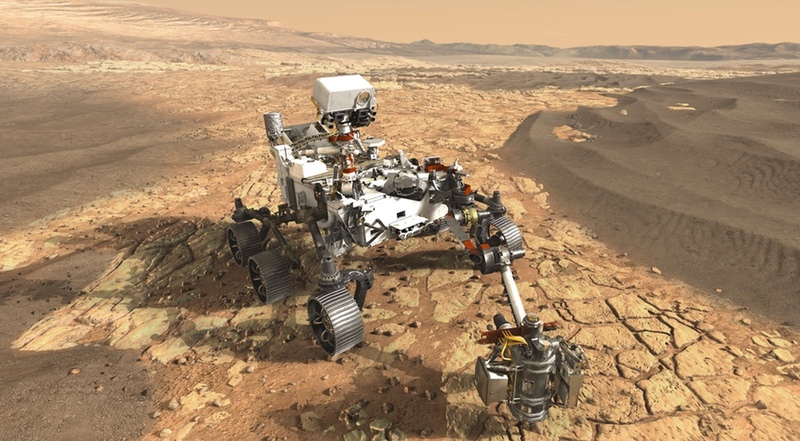 Once that prime mission is underway and the project team understands the capabilities of the rover, he added, “I’m sure there’s going to be discussions” about an extended mission. Mars 2020, with an estimated total cost of a little less than $2.5 billion, is intended to be the first step in a multi-mission campaign to collect samples from Mars and return them to Earth. Mars 2020 will cache those samples for later missions to retrieve, launch into Mars orbit and then collect for transport to Earth. NASA announced its concept for a “lean” sample return architecture in August 2017 that seeks to minimize the complexity and time for returning those samples. However, the agency has provided few specifics about how that would be implemented, although it announced earlier this year plans to jointly study Mars sample return options with the European Space Agency. “I don’t have any updates today” on that work, Zurbuchen said. He did say that NASA was planning on launching the later elements of that sample return architecture in the late 2020s. “Depending on how the details come out, it would be in the early ’30s that the samples would come back to Earth,” he said.